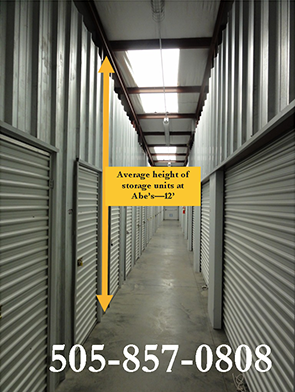 Abe’s Storage offers a variety of unit sizes – one of which is certain to meet your storage and budgetary needs. Our units average height of 12′ makes storing and securing your property more convenient and affordable per square foot. Choose from non-climate controlled for most storage needs or climate-controlled for keeping your antiques, fine furniture and electronics in better condition.